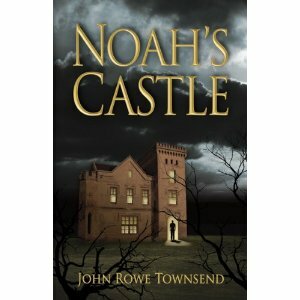 First printed in 1975, Noah’s Castle is told through the eyes of sixteen year old Barry Mortimer. During the total collapse of the British economy, Barry finds himself and his family far more fortunate than most, due to his father’s foresight and planning. Mr. Mortimer stockpiled food and supplies for his family, and goes to great lengths to protect it, despite the suffering of others and even after hoarding is declared illegal by the government. The novel covers an interesting subject matter, and explores the political, social and ethical effects of an economical crisis. However, the story itself fell short for me. The author failed to create a personal connection between the reader and the characters, and the conversational language was very formal. Even the description of the crisis unfolding was missing something. Happenings were listed in a very matter of fact method that lacked description and quality. The level of sexism in the book was also off-putting to me. Overall, I have to say I was disappointed in this book. With such a great subject matter, I expected a thought provoking page turner and instead found myself wondering when I would feel connected to the characters and the story. I understand that this book was the basis for a television program in the seventies, and I can only hope that the show made up for what was lacking in the book by creating characters with substance that the viewer could relate to.